Topics: Mortgage Center, School Info, Different Types Of Loans, and Refinancing. ns3.homes.com, and ns.homes.com are its DNS Nameservers. It is hosted by Mci Communications Services Inc. D B A Verizon Business (Virginia, Ashburn,) using Apache web server. 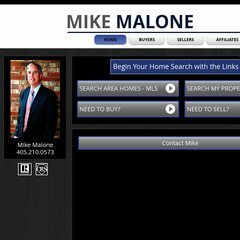 Mikemalonehome.com's server IP number is 208.254.9.221.